Some time ago I saw it in an auction and was able to buy it. It is the educational package created in 1985 for the Sanno Institute of Management, with the ROM being exactly the same. The application is actually pretty nice and works well. 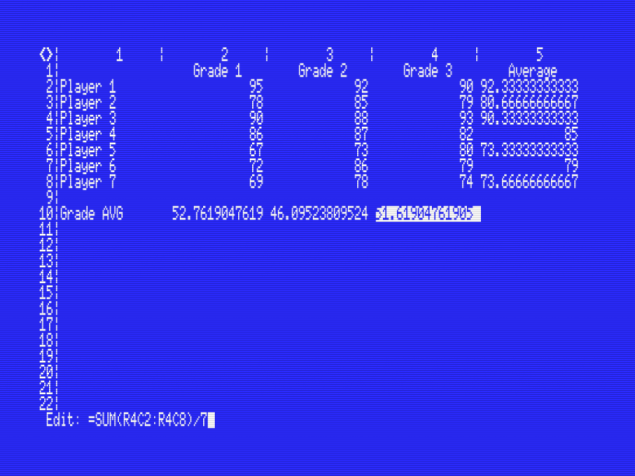 It supports the typical functionality you would expect from a spreadsheet software such as Excel, though it is obviously not as fast as Excel on modern hardware. 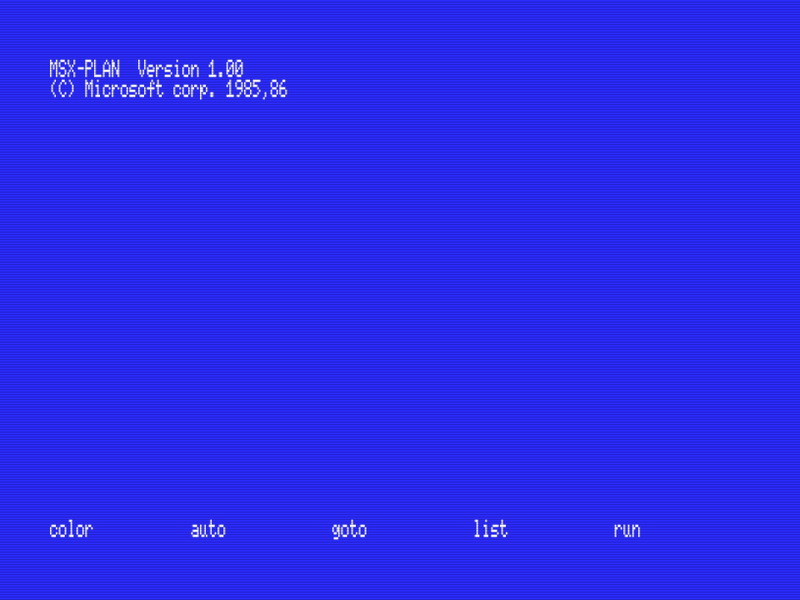 It does support reading/saving files to floppy disk or hard drive. It’s not too intuitive, but it doesn’t take too long to get used to it either. If enough people are interested then I can prepare a simple instruction sheet. Just write in the comments below. 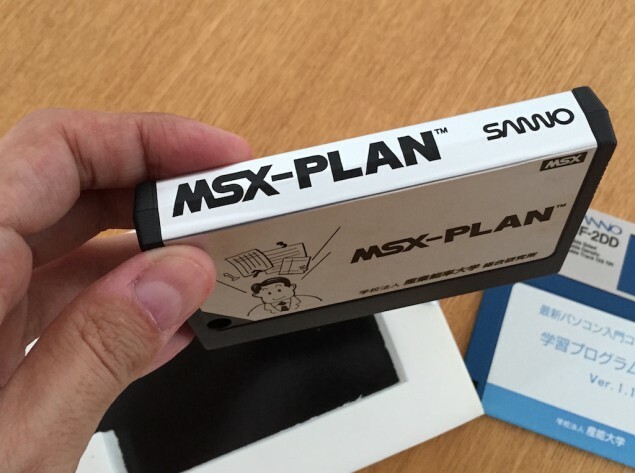 Yes, I’ve taken a quick look and I see that most of the usage part applies to MSX-PLAN as well. The main difference I see is that the CP/M version works using keyboard shortcuts, while the MSX version uses a system of menus and submenus based on the F1-F10 keys. 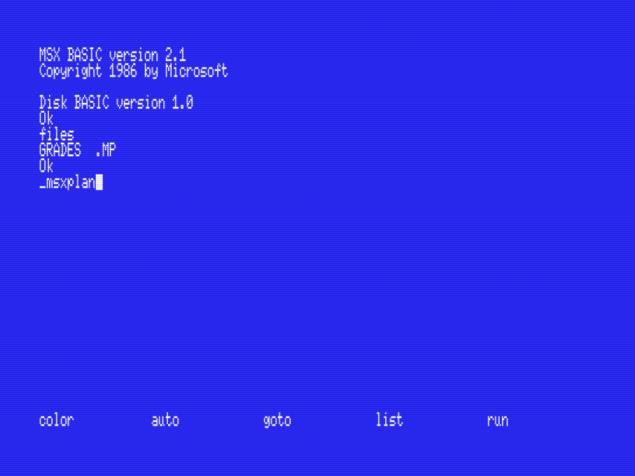 I have the orange cartridge by ASCII. Is same ROM dump as yours. Thanks! It’s good to know that the contents of the ROM are the same. 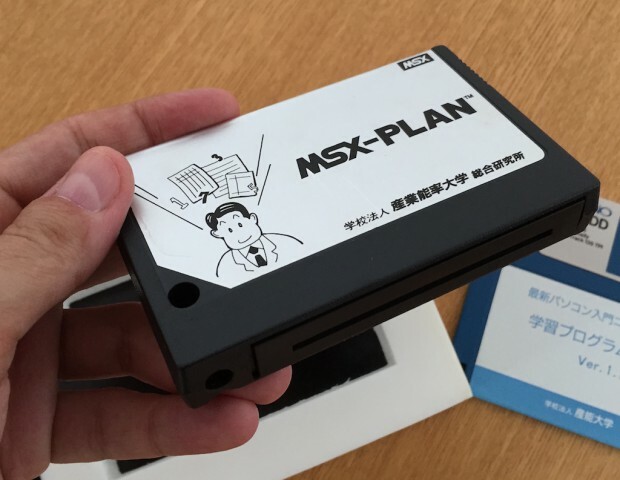 In Brazil Sharp/EPCOM sold a portuguese translation of MSX-PLAN called “HOT-PLAN”. Hi. Have you got a link to the manual? Thanks. It should work almost identically.